In a perfect world, the tenant/landlord relationship would always progress smoothly, with the landlord providing a quality place for the tenant to live at a reasonable price, and the tenant always paying rent on time and taking excellent care of the property. Unfortunately, it doesn’t always work that way. In this post, we’ll share insights into four types of common landlord tenant disputes that often erupt, and how you can respond. Keep in mind that you should consult an attorney for specific advice for your individual situation. The foundation of the landlord tenant relationship is the lease or rental agreement. Landlords are required to create agreements that follow landlord tenant laws according to state law, and you can find specifics about your state at the United States Department of Housing and Urban Development (HUD). You’ll have to do a bit of clicking to get to where you need to go, but here’s an example of what HUD provides, for example, on the subject of Local Tenant Rights, Laws, and Protections: Florida. If you have questions about a lease, get clarification about them before you sign. Although it’s understandable to want to get the lease signed quickly to get yourself moved in as soon as possible, when you start with an agreement that’s shaky, you may be setting yourself up for potential problems later on. If you’re unclear about language found in the lease agreement, it may make sense to consult with an attorney experienced in landlord tenant law in your state. Although state laws vary, in general, landlords are required to provide tenants with premises that are safe. To use New York as an example, landlords owe tenants a “warranty of habitability,” and you have this right whether your lease states this outright or not, and your landlord cannot cause you to sign away this right. The place where you live must be safe, clean, and livable, and so do any public areas of your building. This could mean, for example, that paint in the public lobby must be free of lead and the premises must be reasonably secured to help protect tenants against criminal acts. If your landlord doesn’t provide safety measures to the legal degree required, then this is considered breach of contract, a violation of the habitability warranty. Examples of this include if you don’t have enough heat in your dwelling on a regular basis, or you don’t have steady access to hot water. Pest infestations, if not addressed, might be considered a violation. Although damage that you, as a tenant, create is your responsibility, those that aren’t caused by you must typically be fixed by your landlord. If you believe that your landlord is not upholding appropriate standards for safety, give him or her a written report of the unsatisfactory conditions and keep a copy. Legal remedies including suing your landlord for a reduction in rent, and even to withhold rent until repairs are made; in turn, though, your landlord may start eviction proceedings if you don’t pay, which could turn into a messy situation in court. Another option, if you and your landlord agree, would be for you to make the repairs, keep your receipts, and deduct those costs from your rent. If this is the route you take, get the agreement in writing and keep careful documentation. If your apartment or rental home becomes uninhabitable, perhaps because of fire or water damage, you may be able to give three days’ notice to cancel your lease. This area of landlord tenant law can become complicated. Again, it often makes sense to get legal guidance from an attorney well versed in the laws of your state if these types of situations arise. Landlords aren’t allowed to discriminate against potential tenants in any way that would violate federal Fair Housing Acts. In other words, landlords can’t discriminate against renters based upon race or religion, or any other protected category. This means they can’t tell some potential tenants that a property is available, for example, while telling others that it isn’t. They can’t advertise rentals in a way that indicates preference for a certain category of tenants, perhaps based on skin color or ethnicity. They can’t hold certain tenants to higher standards than others; an example of what they can’t do includes requiring a higher income for people of one religion as compared to another one, or allowing one category of tenants leniency in making late payments, while not providing that courtesy to another group. Landlords can’t refuse to provide reasonable accommodations to tenants who are disabled, such as a service animal. They can’t evict a tenant for any reason that could be considered discriminatory. In short, although landlords can use valid business criteria for choosing whom to rent to, these standards must be applied to all tenants equally. If you feel as though you’ve been discriminated against, HUD provides a procedure to file a complaint. The HUD site states that you must file your complaint within one year of the last date that the alleged discriminatory acts took place. At this point, the Office of Fair Housing and Equal Opportunity (FHEO) can either investigate the complaint or refer it to another agency, with the goal being to help the landlord and tenant to reach an agreement. If it’s determined that a law has been violated, then HUD or the Department of Justice (DOJ) may decide to take legal action. The other party (landlord) will also likely be interviewed and given a chance to respond to the allegations. At any time, if the landlord and tenant come to an agreement, they can share the specifics with HUD; if satisfactory to all, then the situation can be resolved. If this doesn’t happen, you’ll receive a written report about HUD’s findings. This, too, can become complicated from a legal standpoint; so, again, having legal assistance can help tremendously. As a tenant, you are owed certain rights to privacy. That said, a landlord has the right to check into your background when you apply to live in a property, including your creditworthiness and any crime records, as long as it is done in a non-discriminatory way; these couldn’t, for example, be conducted on men but not women. If there’s an emergency, such as a fire, your landlord can typically enter your premises without advance notice. For more typical repairs or property checks, you must be given advance notice and provided reasonable leeway for these checks to fit your schedule. As a tenant, you can’t deny entry if legal requirements are met. 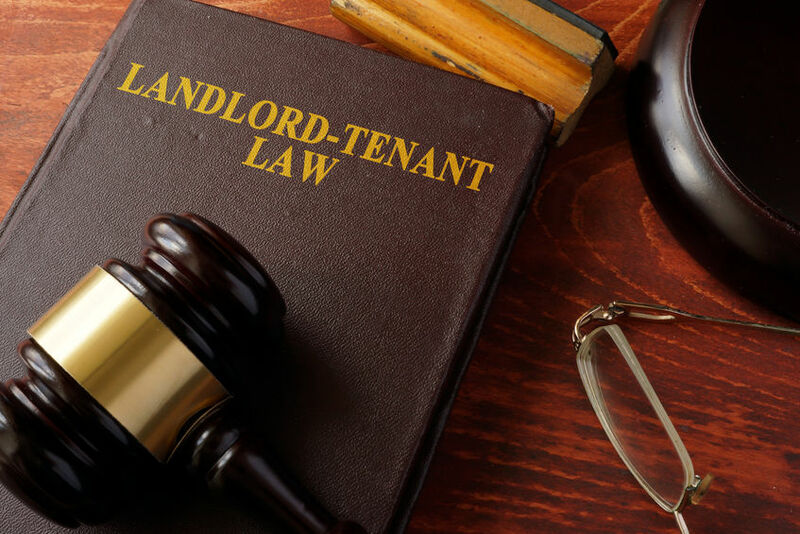 Although the four issues described are common ones that often arise in the area of landlord tenant law, this is far from a comprehensive list. There can be landlord tenant disputes around security deposits, rental insurance, evictions, and more. In each case, you’re often best served by having legal counsel providing you with guidance. Many times, people don’t consult with an attorney about landlord tenant law issues because of the costs involved—and this is where legal benefits plans can really help. We invite you to explore the benefits you can receive with our Family Defender™ plan. This legal insurance plan is designed to give you affordable access to local attorneys who can help with a wide array of services, including landlord tenant law. As a member of this plan, you can easily access the legal help you need from a list of carefully vetted attorneys in your area. For an attorney to be included in our network, he or she must meet strict criteria, which includes five or more years of experience. They must be properly licensed, without any complaints or disciplinary history. U.S. Legal Services offers the most comprehensive plans in the industry at an affordable monthly fee. If you are an employer and you’d like to offer this voluntary benefit to your employees, it’s easy to set up and administer, at no cost to your company. We have been offering quality legal insurance plans for more than 40 years and are available to talk to you about your company’s specific needs. You can contact us online today or call us at 1.800.356.LAWS. Previous What is Bankruptcy and Should I File? Next What is Family Law?